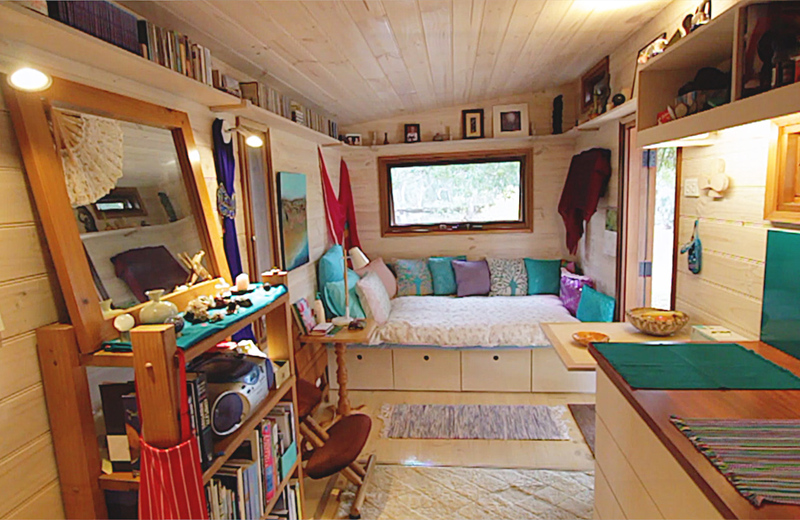 Kerrie’s custom built tiny house on wheels meets her need for privacy and convenience because it is so close to her daughter’s family home. She loves living in a beautiful setting, surrounded by family and having the privacy and containment of her own tiny house on wheels. Don’t buy a tiny house without doing your homework first. Don’t make an expensive decision that you later regret because you didn’t have all the information that you needed. 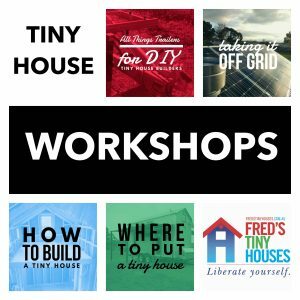 Become an informed consumer about tiny house vehicles and save yourself time and money, and avoid making expensive mistakes by attending Fred’s Tiny Houses workshops. Originally designed to teach DIY builders how to build a strong, lightweight tiny house vehicle with great design elements, Fred’s workshops have also always been greatly appreciated by anyone thinking about buying a tiny house from any builder. Read what people say about the workshops here. Gain a complete understanding of the pros and cons Fred has learned for every design option. As a participant of our workshops you will come away confident in your ability to critically assess every tiny house design and buy a tiny house vehicle that is safe to tow with a clever design. Find out when Fred’s workshops will be in a town near you.